Delhi Chief Minister Arvind Kejriwal sought the assistance of Prime Minister Narendra Modi in ensuring uninterrupted water supply from Haryana to Delhi until further directions from the Supreme Court. In a letter, Kejriwal requested Prime Minister Modi to persuade Haryana to continue supplying the same levels of water to Delhi that it has been supplying for the last 22 years, and to not disrupt it until the top court's decision. 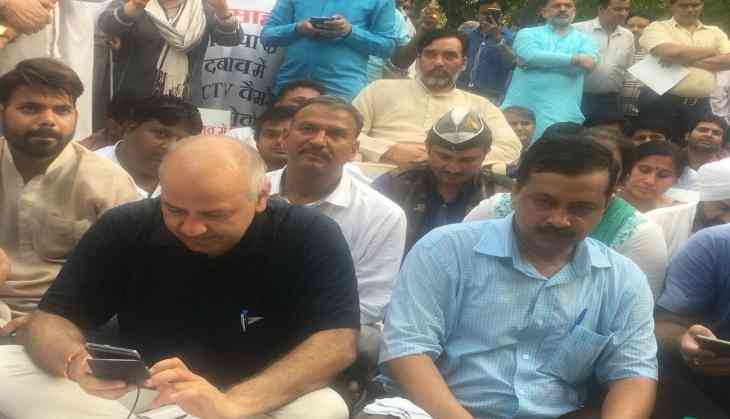 Kejriwal argued that if the water supply is reduced post May 21, there could be an unprecedented water shortage, and could even lead to a serious law and order situation. He further claimed that disruption in water supply from Haryana would affect the Chandrawal water treatment plant, which supplies water to New Delhi Municipal Corporation (NDMC) areas, which houses VIP zones like the President's House, Parliament, embassies and major establishments. "In addition to affecting the public at large, any disruption in water supply would affect all these establishments also," he added. In April this year, the Delhi Jal Board (DJB) said it was not receiving enough water to supply to the national capital, and alleged that Haryana had reduced the supply of Yamuna water by one-third, leading to a grave water crisis. Soon after, the Delhi government sought the Supreme Court's direction to request the Haryana government to provide more water. As per reports, the top court had earlier accused Haryana government of not releasing 450 cusecs of Yamuna water daily to Delhi for drinking in accordance with a 1996 order. It also ordered directed the Chief Secretaries of the two states to hold a meeting with the Secretary of Water Resources Ministry of Centre in order to sort out the dispute of sharing Yamuna's water. The Haryana government on May 1 informed the apex court that water in the Yamuna River is about 3/4th as compared to last year, due to which, the water supply in Haryana, Delhi, and Uttar Pradesh is expected to be affected. On Wednesday, the Haryana government assured the Supreme Court that it would not disrupt the supply of Yamuna river water to New Delhi till Monday (May 21). Meanwhile, the apex court also asked the Delhi Government to approach the Upper Yamuna River Board (UYRB) for adjudication of water sharing dispute between the states.